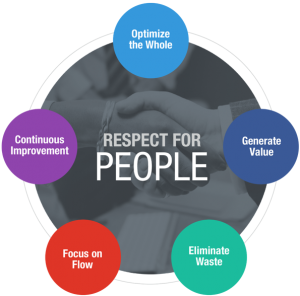 How is your company using LCI’s 6 tenets of Lean design and construction? LCI is giving away one free registration to the 21st LCI Congress core program (Oct. 16-17) to the winner of our LCI Corporate Member Lean in Action Contest! To enter, post the link to your company’s blog post on how your organization is using any of LCI’s 6 tenets of Lean, and tag one or all of LCI’s social media accounts mentioned below. Deadline for submission is Feb. 28. The winner will be selected randomly in early March, and will be announced in the enewsletter going out on March 7. Reply to this tweet with a link to your company’s blog post, the contest hashtag #LeanInAction, and a sentence or two about your blog post. Comment on this Facebook post with a link to your company’s blog post, a sentence or two describing it OR send a post from your company Facebook page with the link to the blog post and tag @LeanConstructionUS with #LeanInAction. Comment on this LinkedIn post with a link to your company’s blog post and a sentence or two describing it OR write a post with the link on your company LinkedIn page and tag @Lean Construction Institute US and #LeanInAction. Your company must be a current LCI corporate member. Your blog post must be hosted on your company website and be at least 230 words. The blog post must be submitted to at least one of the LCI social media accounts mentioned above by Feb. 28. While only one company will receive a free 2019 LCI Congress core program registration in Fort Worth, Texas in October, all participating companies will benefit from entering. Each company will be featured in the LCI Update (enewsletter), in social media posts and on the LCI website. The submitted blogs will be used as prime industry examples for using Lean concepts to improve design and construction processes from all angles. We look forward to learning how our industry’s leading Lean organizations are using Lean to improve their processes and overall work! Create a MyLCI profile if you do not already have one to receive the LCI Update and other opportunities.